I have worked for well over 20 years as a community developer – a person who helps to build, nurture and maintain strong, healthy communities. I have done this by helping people, neighbourhoods and larger communities to discover their capacities and to use them to better themselves and their communities. I help people to “mine for gold” – to dig deep to discover what their best life would look like, and to put an action plan in place to get there. My vision: a global community where all people enjoy exceptional health and abundant wealth, experience true inner peace and joy, are welcomed and embraced by their community, find a true sense of belonging, and participate meaningfully as contributing citizens. My mission: to humbly serve the Lord as I educate and inspire others to live into their best life. 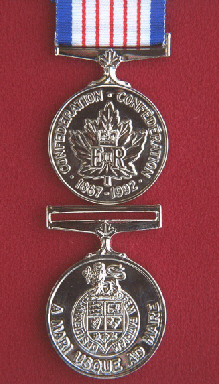 I was one of 42,000 Canadians to be a recipient of The Commemorative Medal for the 125th Anniversary of the Confederation of Canada in recognition of “significant contribution to compatriots, community and to Canada” (1992). Linda is proud to be part of the World Leader in Whole-Body Nutritional Cleansing, Cellular Replenishing & Youthful Aging™ , Isagenix International, the company that has Solutions to Transform Lives. She inspires people who are ready, willing and able to take control of their lives to improve their health and increase their wealth. She has successfully coached scores of people as they have utterly transformed their lives. She has, through her inspired leadership, supported her team members to feel confident in sharing the gift of health with others, and in so doing to help them build a source of residual revenue. Viscardis & Associates is a consulting company. We’re about energy, changing people’s lives, team building, meeting new people, thriving and helping others achieve the life of their dreams. We’re also about discovering the strengths, gifts and capacities of people in our community. Linda supported the company in expanding its client base to include social service agencies, whose stories had not been and needed to be told. She wrote news articles for various online news programs. Linda was co-founder of this family support group, Peterborough & Region Organization for Special Parents of Exceptional Children Talking & Sharing. She was responsible for growing the organization to over 350 families, whose sons and daughters live with various disabilities. From 1997 – 2001, she was responsible for developing, implementing and facilitating a four-year project called “Prospects for Families – Families Supporting Families.” The focus of this organization was to build the capacity of families, people who live with disabilities and their communities – to help people to see beyond disability to the gifts, strengths and capacities that each person inherently possesses. Linda was, and continues to be, passionate about supporting the community in welcoming and embracing people who live with disabilities, and supporting people who live with disabilities to use their unique gifts to contribute meaningfully in their communities. Linda has been involved with Community Living Peterborough since 1989, when, because her daughter lives with a developmental disability, her family began receiving support. She has been involved as a volunteer with this organization since then, as a board member, committee member, task group member and unofficial ambassador. She has also provided advice to management about her vision of a new way to support people who live with intellectual disabilities…a way that recognizes, nurtures and embraces citizenship rights and responsibilities, and sees people being supported beyond the traditional Government-funded model of support and services. Linda was responsible for developing the federally funded Brighter Futures Peterborough program, for the supervision of program staff, and the recruitment of program volunteers. She built the program from conception to reality while fostering community partnerships and collaborative initiatives and building credibility in the community. Linda became involved with Five Counties Children’s Centre (a Children’s Rehabilitation Centre) in 1989 when her daughter began receiving services for her various disabilities. Over the years, she became involved with various committees and the board of directors. She retired from the board as vice chair. Her goal had been to bring the family perspective to the organization’s management and governance team. Linda was responsible for the overall administration of all services provided by the Association. She was instrumental in leading the Association into the era of person-centred and family-centred service.